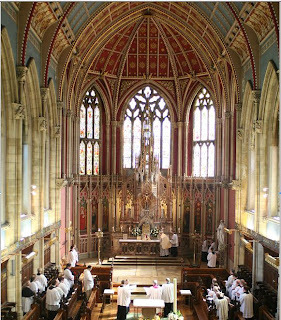 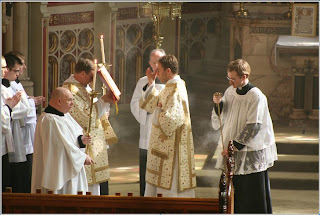 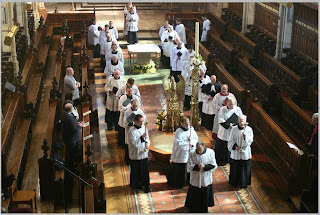 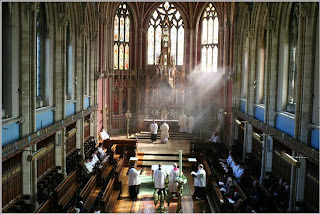 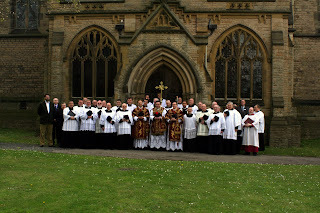 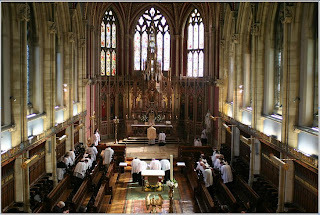 In the end 26 priests attended the Priests' Training Conference at Ushaw College, including the six tutors. 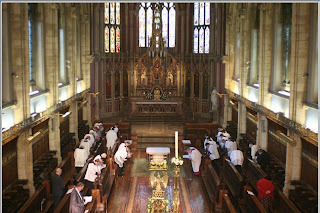 As you can see from the photographs we were able to make extensive use of The magnificent St Cuthbert's Chapel with daily sung Mass as well as Lauds, Vespers and Compline. 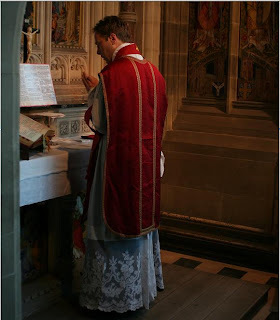 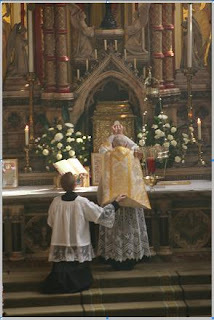 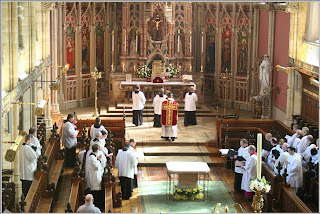 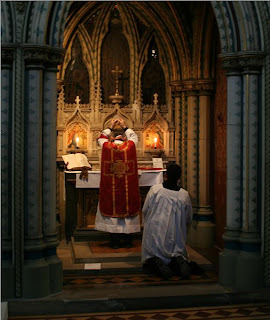 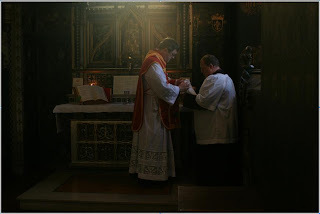 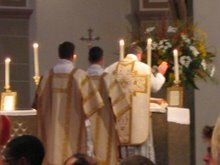 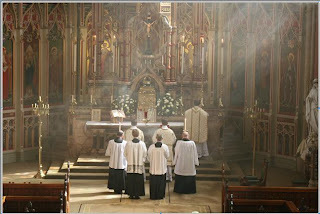 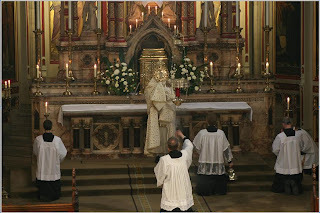 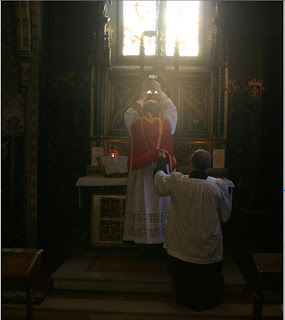 One priest told me that he had longed all his priestly life to see the high altar used for for the traditional rite with full solemnity. 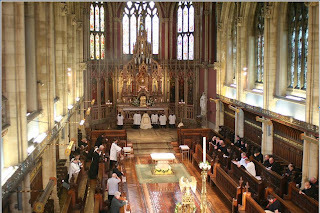 A great advantage of having the conference at Ushaw is the availability of numerous side altars. 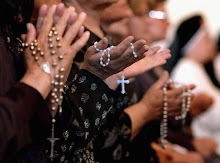 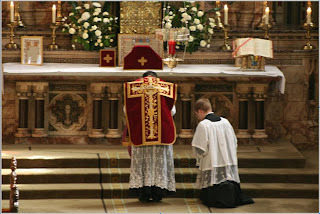 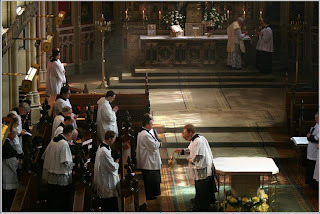 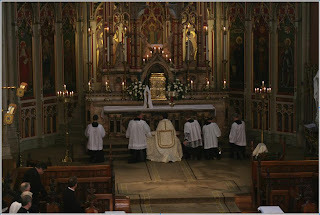 We used ten altars which allowed the 26 priests to say their private Masses in three sessions. 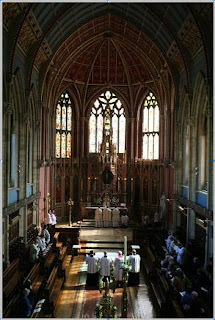 The photographs show some of these altars in use. 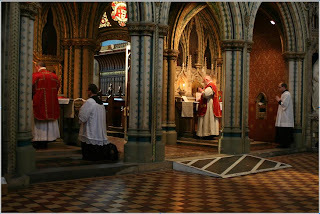 His Holiness Pope Benedict XVI has today appointed the Most Reverend Vincent Nichols, who has been Archbishop of Birmingham since March 2000, as the next Archbishop of Westminster. 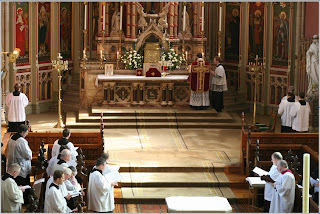 Pope Benedict XVI has accepted the resignation of Cardinal Cormac Murphy-O’Connor as Archbishop of Westminster. 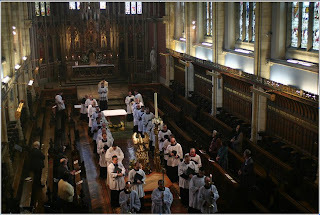 The Cardinal will now become the Apostolic Administrator of the Diocese of Westminster until Archbishop Nichols is installed at Westminster Cathedral on Thursday, 21 May 2009.